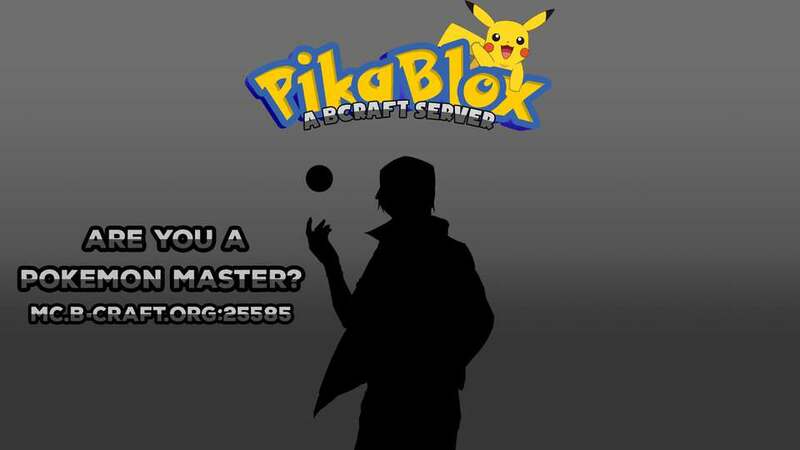 PikaBlox is a new approach to the Minecraft PixelMon community. 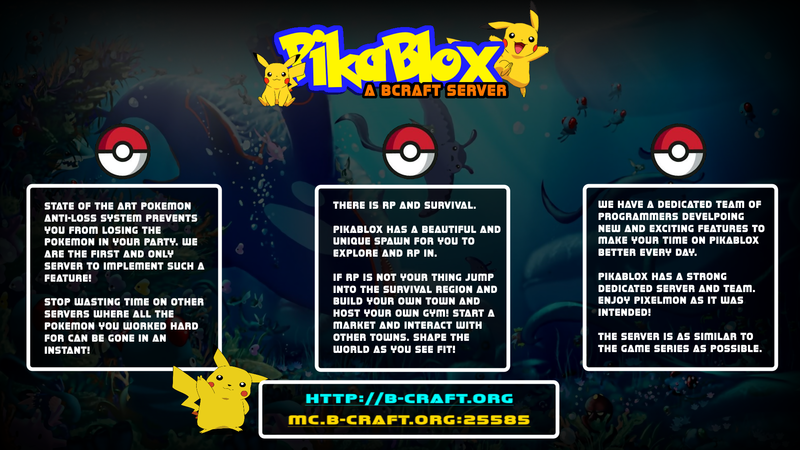 Unlike many other servers, we have custom features that manipulate PixelMon from the core! These additions allow things like proper Nether and End Pokemon spawning while enabling things such as custom Pokemon particles, unique rarity mechanics, and even levels that increase cleanly as you explore the vast survival world. We have an economy system, a town system, a beautiful spawning area, and constantly updating content. Along with our survival theme, we include an RPG theme, having our own lore and the start to an entirely new, non-canon region. This region is called the Caro Region which includes our spawn, the Malia Islands. As the server progresses, we will be adding more catchable legendary Pokemon and more RPG content to a big adventure world. Eventually, we hope to establish many things for players to enjoy, but we first need your help to make that happen! Our staff are friendly, helpful, and willing to resolve any issues that may occur. We also regularly contribute code to Sponge projects, supporting us enables our ability to support the Sponge community. Our website will be listed below along with some other useful information!